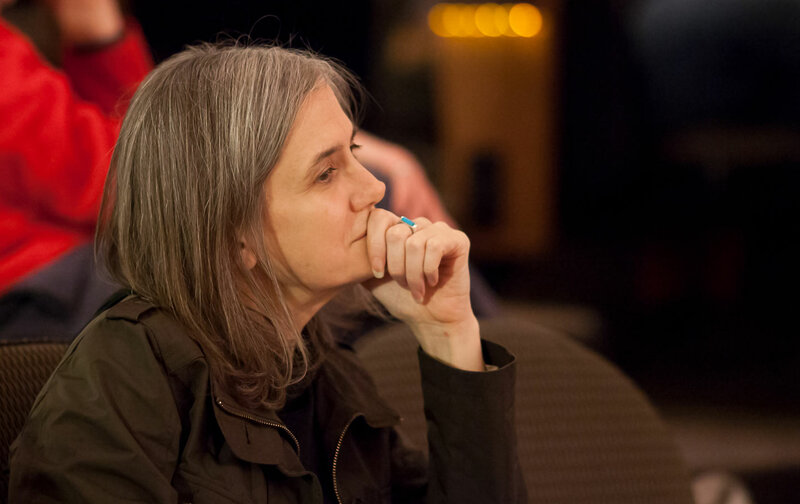 AMY GOODMAN IS FACING PRISON FOR REPORTING ON THE DAKOTA ACCESS PIPELINE. THAT SHOULD SCARE US ALL! | "Global Possibilities"
Home » Media » AMY GOODMAN IS FACING PRISON FOR REPORTING ON THE DAKOTA ACCESS PIPELINE. THAT SHOULD SCARE US ALL! AMY GOODMAN IS FACING PRISON FOR REPORTING ON THE DAKOTA ACCESS PIPELINE. THAT SHOULD SCARE US ALL! Within hours of the attack, Democracy Now! had turned its footage into a seven-minute video that it released as a web exclusive. Three days later, Goodman followed up with an extensive report—“Dakota Access Pipeline Co. Attacks Native Americans with Dogs and Pepper Spray”—that she broadcast live on her show. The video quickly went viral, pinging across Twitter and Facebook (where it was viewed more than 14 million times) and landing, ultimately, on the same big news stations that, until that moment, hadn’t bothered to cover the protests: CNN, CBS, NBC, MSNBC, NPR. Law enforcement is the biggest social problem facing this country, and Goodman is not even Black.